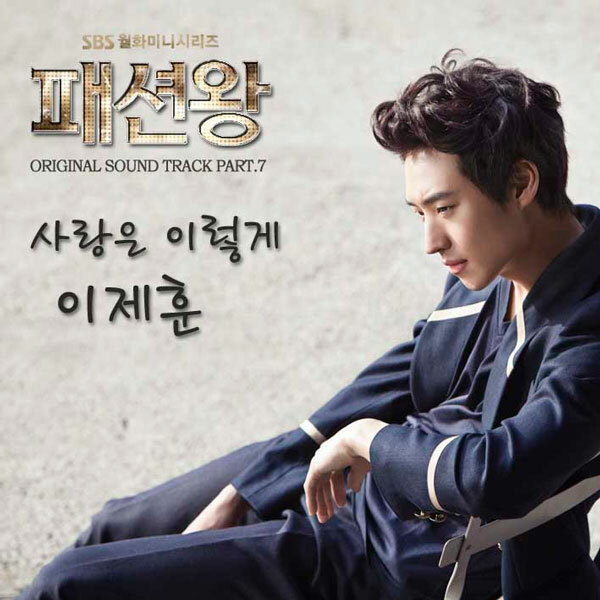 SBS drama series “Fashion King” releases yet another original sound track, the 7th OST, on May 22nd, 2012. “Fashion King” OST part 7 is the male version of song with the title of “Love Like This” (사랑은 이렇게) which was previously released as “Fashion King” OST part 4, and is originally sang by female singer Lee Young Hyun of Big Mama. The new male version of “Love Like This” is sang by Lee Je Hoon (이제훈), an actor who is also starring in the drama. It’s the first time Lee Je Hoon sang an OST for a drama. During the recording, although Lee Je Hoon seemed nervous, but he wholeheartedly put in his feelings into the singing, winning praise. He was invited to sing the OST after his sentimental voice amazed the staff crews when filming the duet with Shin Se Kyung on stage in episode 17. “Love Like This” sang by Lee Je Hoon first made its debut on episode 19 of “Fashion King” aired by May 21st, 2012.